We caught up with the Zimbabwe born Johannesburg based photograoher Ben Moyo aka Chocolate Brother about his street style portraits and influences. 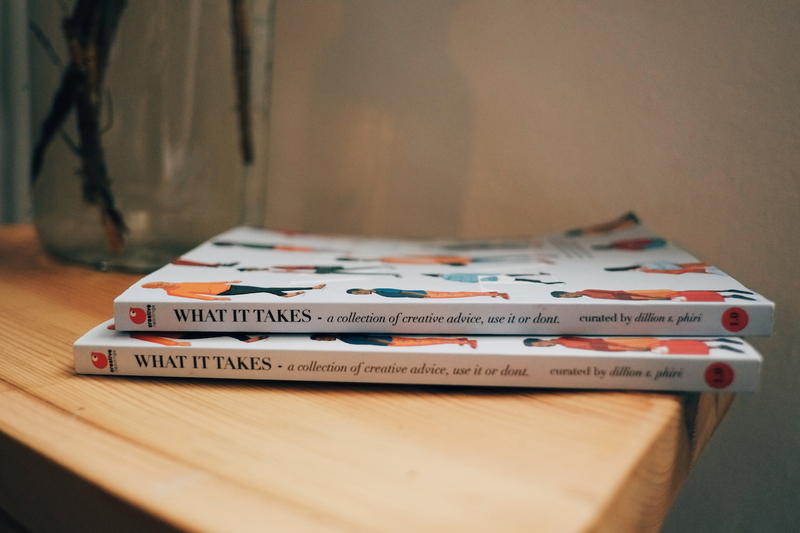 Introducing Creative Nestlings first book, "What It Takes" a collection of advice from African creatives who have shown that they have what it takes to pursue the creative life succeed, fail and keep moving forward. Creative Nestlings: Please introduce yourself, and what you do? Ben Moyo: My name is Ben Moyo and I'm a freelance photographer originally from Zimbabwe, based in Johannesburg at the moment. CN: Take us through your journey of being a young, black, Zimbabwean creative trying to break into the industry with no equipment? BM: It's been quite a long journey. I moved to SA in 2011 to seek a better life, I worked as a gardener for years until one day I got tired of doing something I wasn't destined to do, that's when I started doing street photography on my iPhone. I used Instagram as a platform to showcase my work and I realized I have something to offer. To this day it's still difficult because I don't necessarily have the right equipment to become a photographer but I won't let that get in the way of achieving my goals. CN: Let’s talk about your influences; which photographer influenced you? BM: I'm influenced by the late Bill Cunningham, he was on a mission to photograph the real person and their personalities before he even focused on what they were wearing. I think it's quite important that as a photographer you get to know your subject because that's when you get great photographs. ‍CN: What are you trying to say with your photography, and do you think it translates? BM: The main thing I want to bring across in my photographs is a real and authentic African story. CN: How important is it for you to “connect” with your subjects to bring out your true self? BM: I think it's very important to connect with your subject prior to photographing them, they become comfortable around you which leads to me being able to photograph their true self. Get to know your subject first before before asking to photograph them. CN: Colour vs. Black and White - which do you prefer? BM: I don't necessarily have a favorite between photographing color of black and white. I feel each medium plays a pivotal role in different aspects of photography. ‍CN: What does ‘street photography’ mean to you? BM: In short I would say street photography means raw frozen moments. CN: What equipment do you prefer to use? ‍CN: Talk to us about your relationship with Canon? BM: I'm currently under a 12 month mentorship program with them. CN: For you, what makes a good picture? BM: I think capturing emotions, if I manage to capture the essence of a subject all the other factors fall into place. CN: What is your take on digital cameras? BM: Digital cameras are great; they make life easier for a photographer but on the other hand they can also make you a lazy photographer, you can take a thousand photographs and end up using just 10. It gets tricky with film, there's a great deal of discipline so each picture needs to be thought out and planned. CN: What is the influence of digital technology on your photography? ‍CN: What’s your take on the creative community in Joburg compared to Cape Town? How has it impacted on your creativity? BM: Both cities are quite different, each having it’s own pros and cons. Cape Town is a very difficult city to make it in especially for a black person. Joburg on the other hand is pro-black and you can make it quicker provided you get and seek opportunities. I moved to Joburg cause I realised being in Cape Town was stunting my growth, if I had moved sooner I would be in a better position than I am now. CN: What are your thoughts on the collaboration movement in the creative industry, specifically Joburg? BM: I think it's getting better and I feel it grow even bigger only if we aren’t selfish with ideas and resources. There’s so many people who are talented in the Joburg creative community. I feel they would grow better if they collaborated more. ‍CN: What does being creative mean to you? BM: To me creativity means sharing your inner self, being free and vulnerable enough to express yourself.